I wrote a short story recently and it’s now being published as an ebook through Penguin. Which is all a bit new and exciting. I love the cover. It portrays the story so well. Mothers’ Day has always been a special day for Sandi, because her beloved kids spoil her rotten. But this year won’t be the same. Her daughter, Gracie, has joined her brother Jack at boarding school and Sandi dreads waking up to a quiet house. Even her husband, Paul, seems distant and preoccupied with farm work. So she never could have guessed what the day has in store . . . 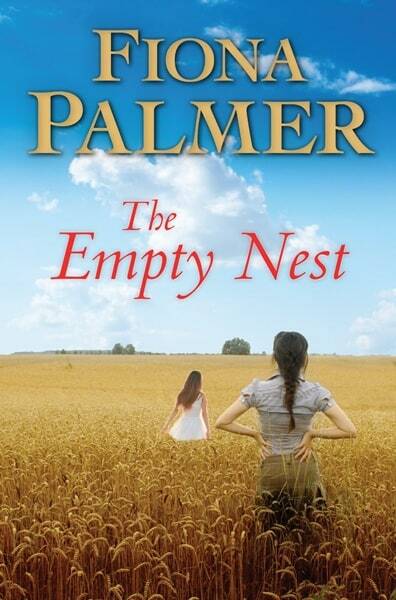 The Empty Nest includes an exclusive preview from Fiona Palmer’s forthcoming new novel, The Sunnyvale Girls! This story is something that mothers face in rural area’s often. My own kids will be going to boarding school so this story touched on my very own emotions. So I guess you could say there is quite a bit of myself in the main character Sandi. The Empty Nest has just come out for pre-order, its release date is the 26th March. I’ve found this link to pre-order for kindle. At $1.79.